As noted scientist Temple Grandin titled her book of the same name, animals make us human. This can seem a very strong statement until one watches children and notes their affinity for and curiosity about animals. Some kids watch creatures from a safe distance. Others are more forward and grab every cat or dog they can get close enough to to touch. Most children will add the names of animals to their first few words. However they show it, new humans start noticing animals right after (and sometimes before!) they get a handle on “people”. 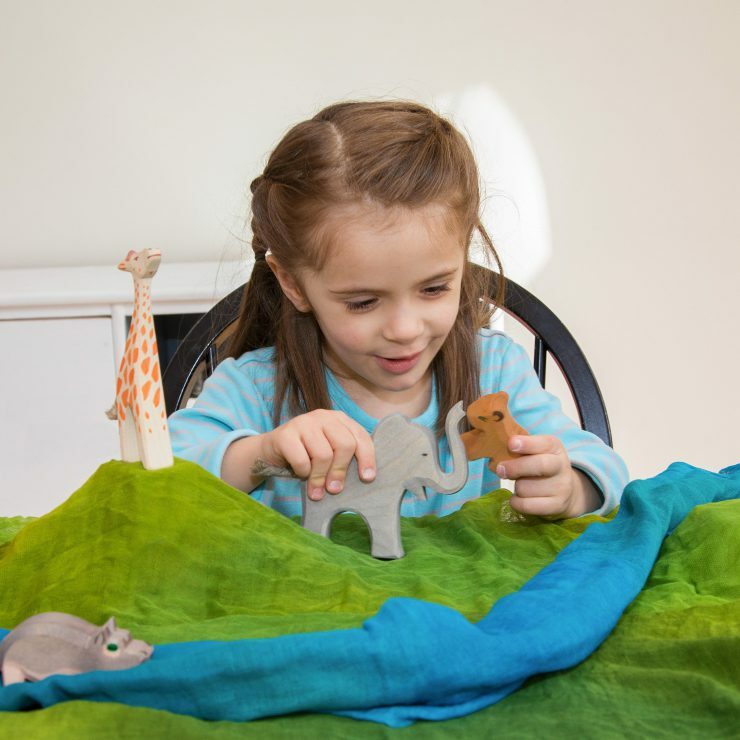 Children incorporate animals in their pretend play, as well. Sometimes, they’re the farmer feeding the pigs or moving the sheep from pasture to pasture. And sometimes, they ARE the cat. I’ve even seen kids in the 10-12 year range, who would still indulge play with a tail and a pair of ears. The costumes that got the most play in our dress-up bin were those that allowed our children to slip their human skin for a while, like a reverse selkie. They seemed to be exploring the animal world through play, and in turn, learning more about what it means to be human. As parents, some of this style of play can be trying. It is very hard to get a 4-year-old who is most definitely a puppy to put on shoes, as we all know puppies don’t wear shoes. We can remind ourselves that this “puppy” is learning through play and we can enhance our parenting skills by finding ways to compromise, honoring both the child’s world and the things the adults deem necessary. Perhaps the puppy could morph into a colt for just long enough to add shoes or maybe slowing down can help the puppy remember their human form. And sometimes we simply have to insist, but even insisting can be done with a loving understanding of how hard that can be on your little one. We can also support their learning through our interactions and their environment. Learning to ask before we pet a dog teaches personal space, respect for boundaries and how to address strangers— the bipeds and the quadrupeds. Watching birds and squirrels instead of chasing them reinforces that nature does not exist FOR us and that there are quiet ways to enjoy it. Coping with a cat scratch in a forgiving way helps them understand that everyone has the right to protect themselves from rough handling, that one’s body is their own regardless of the presence of fur. Of course, feeding, watering and tending pets or other animals helps children understand how many needs are the exact same whoever you are. We can also provide toys and books that further their explorations. Farmyard figures or stuffed animals give them the chance to try out all their knowledge on animals that will suffer less as children learn to gentle their exuberance. 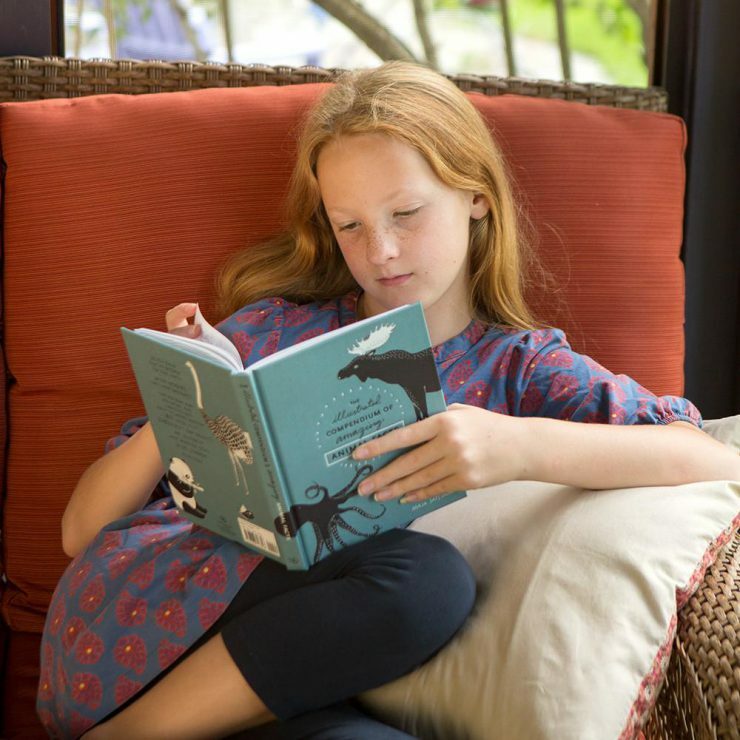 Sharing stories about animals, habitats or the roles animals have played in people’s lives gives kids further insight into the vastness of the animal kingdom. Animals help us remember how interconnected the whole world is. They give adults a way of teaching this without layering on the tremendous concerns about the health of our environment. We can foster the wonder and beauty of nature when they’re little, letting them learn as they’re ready about what challenges we face.